I tried out both the Healthy Skin Sea Mist and Soothing Rose Toner. 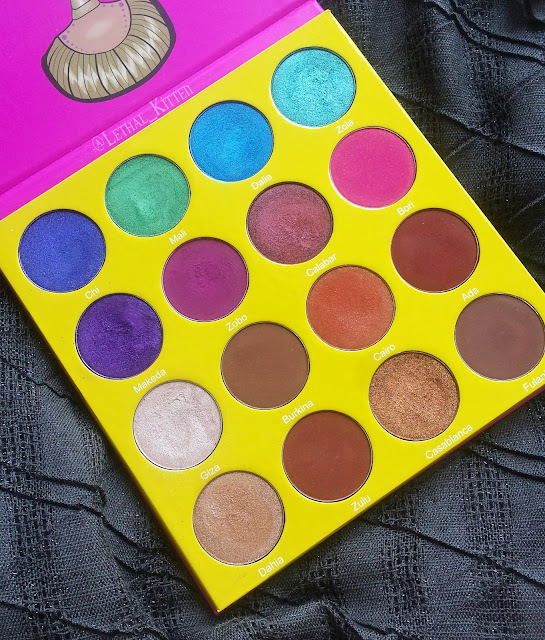 I recently had an extremely bad allergic reaction to the Amazing Cosmetics Amazing Concealer. Don't get me wrong, the coverage of that concealer was amazing, but unfortunately there must be an ingredient that I am allergic to which caused my skin to have a lot of inflammation, acne, and overall a lot of redness and sensitivity. I was pretty much game to try just about anything in order to sooth my skin and to get rid of the issues that the concealer gave my skin. My skin for reference is very sensitive, combination, and I have eczema so it can be very picky with what I use. I also have a lot of nut allergies, which can be hard to find products that do not contain them. 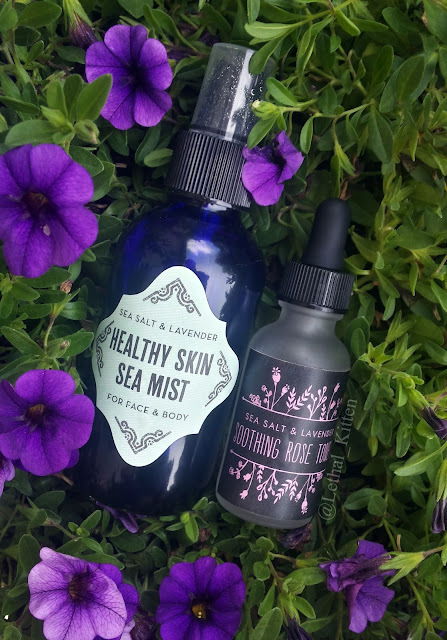 After using these products along with my normal skincare routine my skin went back to normal in less than a week, and has significantly improved overall since regularly using these products from Sea Salt and Lavender. The way I use these products is in the morning I first use my First Aid Beauty Cleanser to get rid of all the gunk on my face. I than use my Clinique Moisture Surge Moisturizer. Wait til that sinks into my skin and then use the Health Skin Sea Mist over my skin to refresh it before applying makeup. If I do not wear makeup, I like to use the Healthy Skin Sea Mist throughout the day to really hydrate and sooth my skin. I found this to be very helpful when my face was feeling inflamed and itchy due to the allergic reaction I was having. At night I do things a litte bit differently then I do in the morning. I first cleanse my face with the same First Aid Beauty Cleanser then proceed to use a dime size amount of the Soothing Rose Toner on my face and rub it into my skin. I wait til it drys on my face and then proceed to use my Amara Organics Vitamin C Serum and apply the same amount to my face overall. I then use my Clinique All About Eyes Eye Cream and Clinique Moisture Surge Moisturizer. - Got rid of the texture I had on my forehead and cheek area. - Didn't dry out my skin or make it oily. - Makes my skin feel very healthy after using it. - All ingredients are listed thoroughly and explain what they will accomplish. - Have to purchase online. - Since they are a small business they do not have a lot of products to choose from. Overall I cannot recommend either of these products enough from Sea Salt and Lavender. Both of these products have really helped my skin and have overall improved the quality and appearance of it as well. Definitely recommend checking this company out. You can check them out at their website SeaSaltandLavender.com or Here on Etsy. The owner also said if you use the code 'Organic20' you will receive 20% off your order at checkout. I was sent these products from Sea Salt and Lavender complimentary in order to review, but all opinions are my own.